As much as you would love them to, it is often unrealistic to keep your dogs running loose in and out of your home; and having your dogs chained up would be heartless. The safest and more adapted solution for dog breeders is to setup a boxed kennel, runs and pens offering your dogs enough space to remain comfortable. Do not forget to also have a screen or shade to protect your dogs against the sun and the rain, especially if you will keep the dogs outside, day and night. Ideally, you want to have an easy system to provide your dogs with fresh drinking water and food. An adapted bedding is a must, along with kennel cleaning products available at any times to regularly disinfect their kennel. There are several types of kennels, some of them are covered, some of them have double doors, enhanced security features, but all of them should be constructed using solid and durable materials. Here is our list of the top 4 best boxed kennels for dogs. Built using welded wire, the PetSafe Cottageview Boxed Kennel gives you a resistant and attractive outdoor kennel. 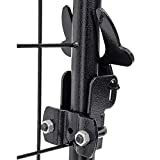 It uses a black powder coating to add an important rust-resistance to this already great product! 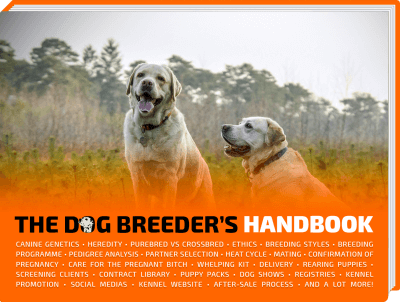 Very easy to setup, the estimated construction time is way below an hour, even for unexperienced breeders and owners. As is, the PetSafe Cottage View Dog Kennel is big enough to accommodate three small dogs, two medium-sized dogs or one large dog. 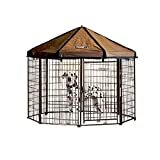 Indeed, this kennel measures 5 feet by 5 feet by 4 feet, but can easily be expanded by purchasing the expansion panel set. 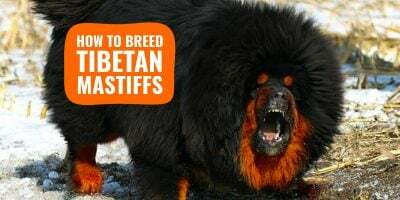 For giant dog breeds, this won’t be the right product as they will end up escaping or simply biting the included SunBlock cover that protects them from the sun. The Lucky Dog Welded Wire Kennel delivers the highest quality, and also look, on the market today. Compared to the other brands, you are getting a spacious, comfortable and safe confined environment for your dogs. Black powder coated, the Lucky Dog Welded Wire Kennel is constructed using durable galvanized steel and a waterproof cover. 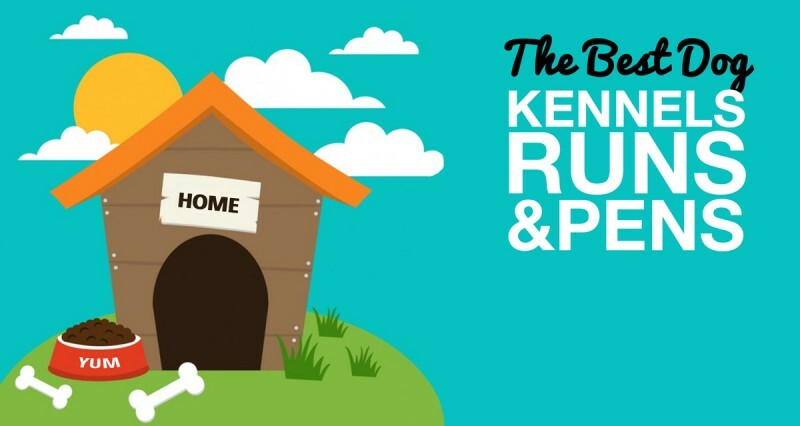 The dog kennels, runs and pens developed by Lucky Dog are vouched and recognized by the ASPCA and the American Kennel Club, you may even find the same products branded “American Kennel Club” instead of Lucky Dog. But we recommend getting the original rather than the rebranded copy, at least for the customer service. Assembly takes less than an hour and no tools are required. It is a spacious kennel measuring 6′ Height x 8′ Length x 4′ Width, and comes with a free cover. This product is of professional grade, it will stay with you for a very long time. Just in case you are very serious about your dog breeding and you need a lot more space, you will love the biggest (6’x10’x10′) and best version of the Lucky Dog kennels! This modular kennel system allows you to customize the layout, as and when you wish, to suit your dogs’ needs for comfort and exercise. This is the ideal product should you have many dogs who need to be confined as it offers a lot of room for your dogs to enjoy themselves. You can add covers on half the surface to have a covered area for your dogs, so they can stay dry if it rains, or cool if it’s very sunny. Easy to setup and store, the Advantek Pet Gazebo Outdoor Kennel is made of durable powder-coated finish on a galvanised base. You do not need tools to assemble this kennel, its dimensions (5’L x 5’W x 5’H) make it unadapted to giant dogs but it will work wonders for small to large breeds. The Pet Gazebo is built using heavy duty steel for durability and features a latching drop-down window for safe and easy access, and an attractive, durable, rust-resistant Aztek Gold powder-coated finish. Additional Advantek Kennel kits may be purchased to add to or even change the configuration of the kennel, as shown on the picture. Since its introduction the Pet Gazebo has become widely accepted as the most “Travel-Friendly”, complete pet kennel on the market today. 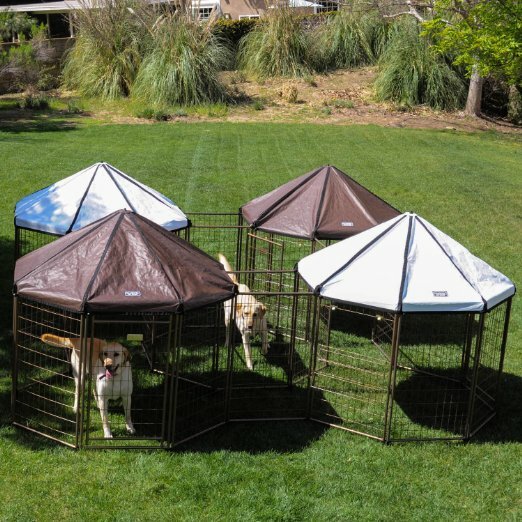 Layout made with Advantek Pet Gazebo Outdoor Kennels. To make your kennels even more welcoming, we thought of some extremely useful accessories that will add an extra touch to your dogs’ new favourite home. 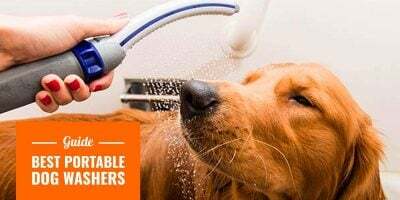 Don’t forget that whether they live in their outdoor kennel or on your sofa at home, dogs must live in a clear and hygienic space, with drinking water available at all times. Every boxed kennel should have fresh drinking water available at all times, and a food bowl at meal times. Because you are leaving it outdoor, you want to perhaps look much less at the look, and more at the material and durability. By using a stainless steel feeding station, you can be guaranteed that it will always be easy to clean and much more hygienic for your dogs. 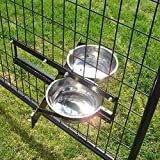 The best feeding stations are the turning ones, where the feeder doesn’t need to open the kennel to change the water and food; the Lucky Dog Turn-Style 2-Bowl System is the perfect example. 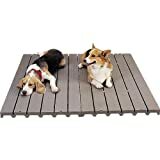 A kennel deck is what will assure you a clean kennel: it keeps dogs elevated and away from moisture and bugs, basically, away from the floor. The plastic material is non-skid, odor-repellent and the surface will resist mold, disease-carrying bacteria and mildew. 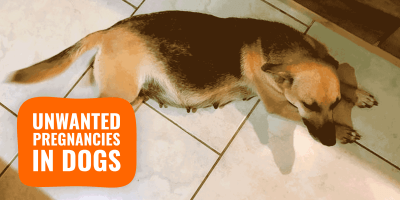 You definitely need these if you have several dogs or a damp environment. Made in the USA, NaturVet Yard Odor Eliminator eliminates stool and urine odors. You can spray on any outdoor surface, it is safe for use on grass, plants, shrubs, patios, patio furniture, kennels, dog runs, block walls, swing sets, fences or any other surface where odors arise due to pets. If spraying on fabric, test product on a very small inconspicuous surface area before using. Do not spray directly on pets. 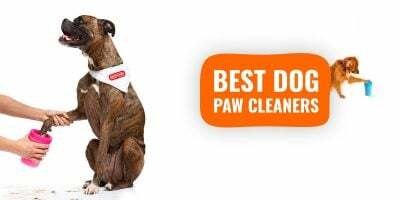 We highly recommend the NaturVet Yard Odor Eliminator as a handy and convenient spray, however, we have written a popular in-depth article about the best kennel disinfectants and odour-neutralisers, go check it out! Out of sights mens out of control… Most breeders have heard or experienced dog theft and it is a traumatising experience. If you want to keep an eye on your dogs, even when they are outside and far from you, we have an article full of amazing dog anti-theft solutions and devices that will keep your dogs with you, forever.